In far West Texas, El Paso is on the Rio Grande and just across the border from Ciudad Juarez, Chihuahua, Mexico. 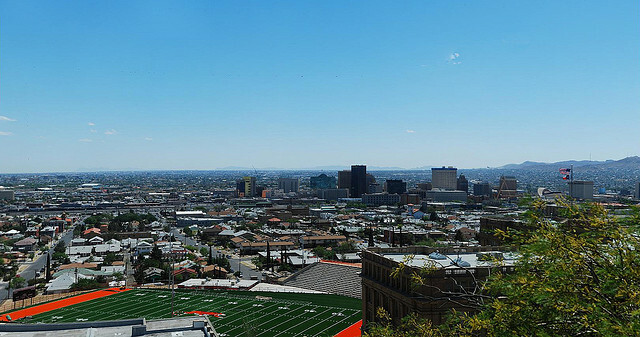 The metropolitan area of El Paso has a population of more than 800,000 residents, and when combined with neighbors Juarez and Las Cruces, the El Paso area has more than 2.7 million people living in it — and is noted as the largest bilingual, binational work force in the Western Hemisphere. With great livability, education, health, and local economy and taxes, El Paso was recognized by WalletHub as one of the top 50 best cities to live in among the United States. El Paso beats out other Texas cities including San Antonio, Fort Worth, and Dallas. Like many other cities in Texas, El Paso has seen major gains in single family homes sales this year. That means home sales are heating up — and home prices are increasing as well. Competition for the best homes at the best prices is getting tougher, and that means you’ll need an excellent Realtor® by your side to maximize your opportunity in this market, whether you’re buying for a good price, or getting the most from your home sale. We’ve highlighted the 15 best real estate agents El Paso has to offer. Many have decades of experience serving the El Paso real estate market, and all have the knowledge and professionalism to help you with your next successful real estate transaction. Our list of agents is not ranked, but we do want to know which one you think is the best. We’ve included a poll at the end of this article so that you can vote for El Paso’s best real estate agent. Don’t wait, though: the poll will close in 30 days! 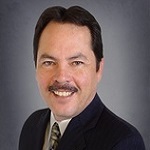 Gil Rodriguez Stoltz is a native El Pasoan with more than 25 years of experience in the El Paso real estate market. He’s happy to work with first time home buyers and offer patient, informative service, as well as assistance with the loan process. With a great track record of satisfied clients, most of Stoltz’s clients are repeat and referral clients. Clients say it’s clear he cares about not just his clients, but his community, and he offers excellent service. They point to his knowledge, great communication skills, and willingness to go the extra mile as evidence of his superior service in real estate. A Realtor® with more than 11 years of experience, David Acosta is a leader in El Paso real estate and nationwide. His excellent track record has earned him recognition in the Wall Street Journal‘s Real Trends list of the Top 100 Real Estate Agents for multiple years. Acosta works hard to get the most out of each real estate transaction for his clients. He puts his negotiation skills and pricing knowledge to work to get the best results for every client. 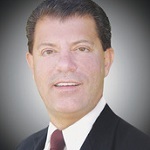 He is available for local sales, as well as real estate transactions in California, Mexico, and throughout Texas. Clients say he is highly knowledgeable about the El Paso area and is always careful to follow up and ensure complete satisfaction, whether you’re buying or selling a home. Owner of Andazola Realty since 1994, Gustavo Andazola has more than two decades of experience in El Paso real estate and surrounding areas. 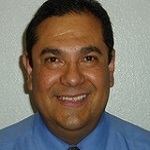 He offers real estate services in both El Paso and nearby New Mexico. Andazola is a member of the National Association of Realtors®, the Great El Paso Association of Realtors®, the Realtors® Association of New Mexico, and is a candidate for the Certified Commercial Investment Member. He puts his clients first and uses his extensive knowledge of the El Paso market to help them achieve success in real estate. Clients appreciate his personal service, availability, and knowledge of the local market. 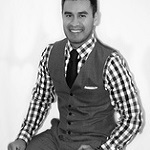 Jorge Leon specializes as a buyer’s agent and listing agent with special skills in relocation and foreclosure. Leon is proud to serve the military community with relocations, whether that means buying, selling, or renting a home. Additionally, Leon offers property management for both residential and commercial properties. His clients say they love his ability to get homes sold quickly, and have been impressed by his more than capable negotiation skills. They appreciate how he keeps them informed every step of the way to make buying or selling a home a worry free event. 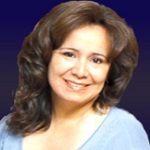 Since 1993, Laura Baca has served the El Paso area with excellent real estate services. 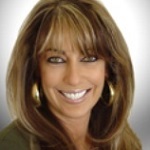 She is a buyer’s agent and listing agent with specializations in relocation and consulting. Baca is committed to offering ethical service to each and every one of her clients. 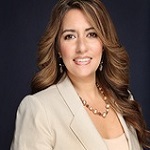 She has been recognized as one of El Paso’s top listing and selling agents, and is highly involved in the community through religious and charitable organizations. Clients say Baca is highly responsive, hard working, and always available. They appreciate her patience and the overall positive experience that she is able to provide for them. 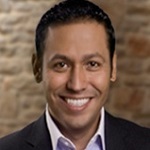 An El Paso native, Jorge Alvarez has more than 10 years of experience in El Paso real estate. He loves the city of El Paso, and with a family background in real estate, he especially loves El Paso real estate. His experience includes buying, selling, investing, and managing properties throughout the El Paso area. A specialty of his includes military relocations, and with an office just minutes away from Biggs Army Airfield, Alvarez is a convenient, and highly qualified choice for military families buying, selling, or renting in the area. His clients say he is patient, professional, and extremely knowledgeable. He returns calls promptly, and offers his help as a highly encouraging Realtor®. An experienced El Paso real estate professional with more than 16 years of experience, Veronica Flaherty is committed to helping her clients buy or sell homes with the highest level of expertise. She helps her clients to understand each step of the buying or selling process, and offers honest, trustworthy, and knowledgeable service. Flaherty finds it extremely gratifying to help her clients meet their real estate needs, from first time home buyers to experienced investors. Clients say she offers patient, helpful service, and they appreciate her knowledgeable expert opinion. Plus, they say her negotiation skills are incredibly valuable. 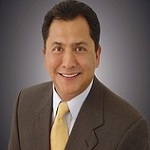 Born and raised in El Paso, Rick Moreno has more than 5 years of experience as a Realtor®. He has a passion for designing creative spaces, and specializes in negotiating and structuring real estate deals. Moreno always works carefully to ensure his clients understand the entire process of their real estate transaction, and he loves to offer a helping hand to his clients, whether they’re experienced in real estate or buying their first home. 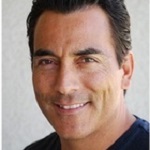 Moreno’s clients say he is responsive, professional, and diligent. They’re impressed that he makes buying and selling seem effortless — even with clients who aren’t able to be in El Paso for the transaction. With more than 25 years of experience in real estate, Hilda Gomez is a seasoned veteran of the El Paso real estate market. She has successfully represented buyers and sellers throughout the El Paso community, and works hard to ensure a hassle free selling process for her clients. Gomez is committed to ensuring that her clients are informed of all vital information while coordinating marketing and sale activities. She is prompt and always readily available to help. 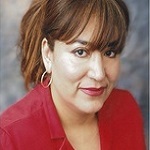 Gomez’s clients say she is helpful, honest, and always keeps them in the loop. And of course, she knows her market extremely well, demonstrating excellent knowledge of El Paso real estate. Jorge A. Nieves has been an El Paso resident for more than 30 years, and he is passionate about the city and surrounding areas. A leader in El Paso real estate, Nieves has been recognized as a multi million dollar producer and is well known for his excellent knowledge of the El Paso real estate market. He is committed to treating his clients with professionalism, respect, and dignity. Clients appreciate his patience, knowledge, and honesty. They also point out that he is highly knowledgeable about the VA process and offers excellent recommendations for inspectors, lenders, and more. Specializing in military relocations, Yvonne Russell offers services as a buyer’s agent, new home agent, and seller’s agent in El Paso. She offers a real estate consultancy services for senior real estate, For Sale By Owner sellers, and also offers assistance with foreclosures, short sales, commercial real estate, and property management. Her clients say she is patient, always happy to answer questions, and works quickly to assure her clients’ achieve the best outcome in any situation. 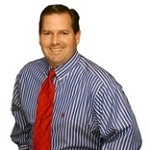 Patrick Tuttle is the broker and owner of Legacy Real Estate Services. He is one of the leading real estate agents in El Paso, and before opening Legacy, he was a member of the RE/MAX Platinum club four times. He is a Certified Residential Specialist, and offers services as a buyer’s agent and listing agent in relocation, property management, and more. Tuttle is avtive in the community as a Deacon, Sunday school director, and director of Men’s Ministries at First Baptist Church of El Paso. Clients enjoy his direct, professional approach, and honest facts. They say he offers outstanding service and practically guaranteed success. 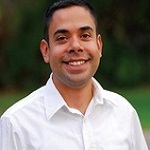 Broker of Caravan Realty, Andrew Gomez has more than 14 years of experience in real estate. He serves his clients as a buyer’s agent and listing agent, and also specializes in commercial real estate and property management. Clients also come to him as an investment specialist, as he offers excellent advice and guidance for buying homes, land, and other properties for investments. Gomez’s clients rely on him for his market knowledge, straightforward assessments, and ability to successfully handle difficult sales. Cassy Estep is an El Paso native and a real estate professional with more than 15 years of experience. She has been recognized as a top producing agent, and has also been recognized as one of the Top 25 Real Estate Agents in El Paso. She is passionate about real estate and considers it a privilege to assist buyers and sellers in the home buying process. Clients say she goes above and beyond to focus on their needs and wants, and is able to expertly guide them through the process of buying or selling a home. They appreciate her quick responses and thorough help with any issues during the buying and selling process. 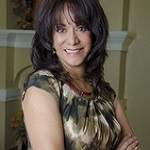 An El Paso Realtor® for more than 25 years, Patti Musshorn has extensive experience in El Paso real estate. Musshorn specializes in new homes, resales, and commercial to investment real estate. She is the exclusive listing agent for Bella Homes, and has been recognized among the Top 10 Agents of El Paso for several years running. Musshorn is active in the local community, serving with groups including Pet Haven to house lost and abandoned animals. Clients say she is extremely knowledgeable, makes the entire process easy, and is always ready to go the extra mile.